1) Space saving and organized. 2) Red safety button to lock and unlock the dial. 4) Machined plates with durable coating. 5) Rubberized dials with clean and stylish numbering. 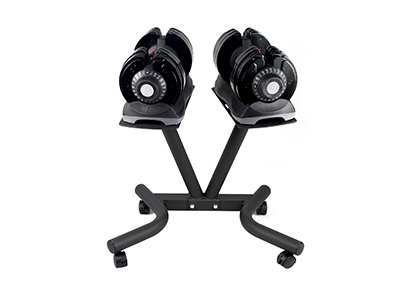 6) Plastic coated camwheel for smooth operating. 7) Fiberglass reinforced nylon made handle & base. 8) All black concept for sleek & stylish look. 9) Tow tone base adds upscale accent. 10) Storage tray for easy handling and storing. 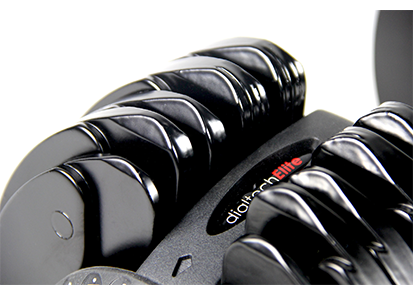 12) One set dialtech served purpose of 12 normal dumbbells (5-7.5-10-12.5-15-17.5-20-22.5-25-27.5-30-32.5). 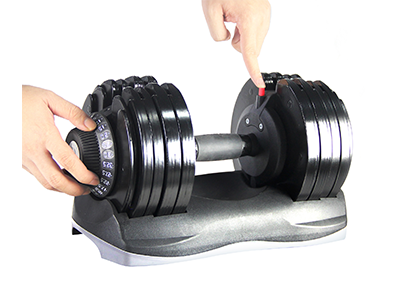 13) Weight increments of 2.5 kg per level. 14) Setup Size: (L)43 cm x (W)20 cm x (H)22 cm.